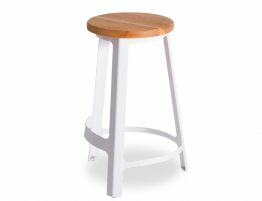 The Cappa White Bar stools offer a retro mod look that evokes the look of a workshop barstool befitting today’s modern interiors. These modern white kitchen barstools balance a look that is at once modern as it touches on a vintage esthetic at the same time. 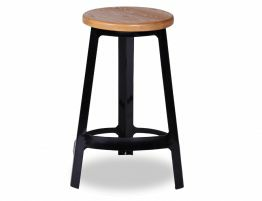 The right modern designer bar stools can completely update your kitchen or counter height dining. 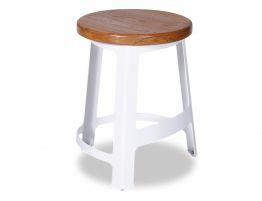 Give your kitchen a breath of fresh air with the Cappa Bar Stool - White with Solid Ash Seat. 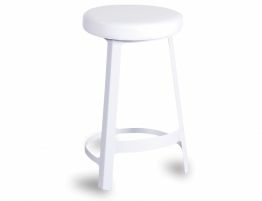 With superior construction and unique style elements, this white barstool tops most designers’ must have lists. 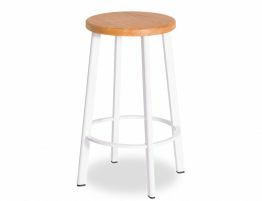 Soft, warm touches like a solid ash wood seat balance against a sturdy steel frame making this modern kitchen barstool a thing of both beauty and strength. 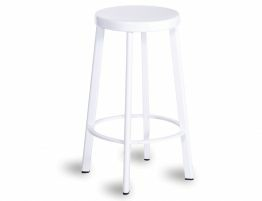 Get a crisp, modern look for your bustling family kitchen with a white Cappa barstool that is easy to care for and keep clean. 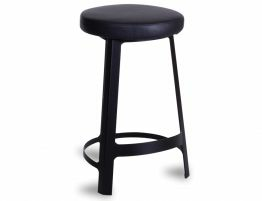 Find affordable modern designer barstools at Relaxhouse and get the look for less.